Recent events have driven home the importance of developing sound technology and policy around securing the Internet of Things (IoT). In the last few weeks, distributed denial of service attacks (DDOS) were executed by unknown hackers who used thousands of Internet-connected security cameras and digital video recorders to flood their targets with a massive volume of commands that affected significant parts of service providers’ networks. Many of these devices were manufactured in China without normal security protections, and became unexpected pawns in the hacker’s scheme to disrupt the Internet. At the Smart Card Alliance Security of Things Conference held in Chicago earlier in the month, the Alliance put forth a strong case for why the Alliance’s IoT Security Council is ideally suited to address this urgent call to action from Krebs, one of the nation’s leading security experts. The Council is currently working on a white paper about using hardware security such as secure elements and embedded chip technology in combination with other security techniques to ensure IoT devices are secure. Embedded security can establish the “identity” of each device, ensure that access to the device is only allowed to authenticated and authorized entities, and protect the data being generated or delivered to the device. These are fundamental requirements to prevent unauthorized tampering with how these devices are designed to work, and protect the privacy and security of the vast amount of data the devices generate. These recent attacks — one of which was more than four times the size of the largest reported attack last year — used IoT devices instead of computers and servers, and is the latest example of the IoT vulnerabilities that exist today, demonstrating why the security of things is so critical. To protect connected devices and their data, the IoT industry needs the attention, coordination and commitment to security that the payments industry is putting into securing payments and that countries put into identity documents to protect their borders. The Smart Card Alliance has historical knowledge of security vulnerabilities, and has been raising awareness about how secure chip technology addresses these problems. Nearly 15 years ago we helped define the value of using chips of electronic passports. We explained how contactless payments cards used chips to generate dynamic data to protect payments and how EMV contact chips cards took that security even further. We prepared the smart phone industry to include secure elements and SIMs to protect NFC-enabled contactless payments. We helped refine and guide the NIST government standards for Personal Identity Verification (PIV) ID cards based on deploying chip technology and strong authentication for physical and logical access control for federal employees and contractors. Now, it is time for the Smart Card Alliance to step up and guide the IoT industry on the proper way to secure the expected 21 billion IoT devices by 2020. It started with our first Security of Things conference and it will become our new mission over the coming years — to be the industry security association that Brian Krebs is asking for that is leading the way forward to secure IoT ecosystems. Join us in our effort to be the leader in IoT security. 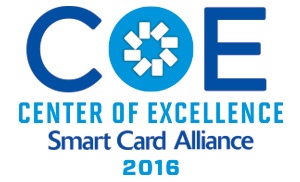 Two Smart Card Alliance webinars have been scheduled; registration is open and complimentary, so reserve your spot today. On Thursday, November 3, at 1 p.m. ET/10 a.m. PT, the Mobile Council will present “EMV Tokenization,” providing an overview of the topic that has the potential to be a payments security game-changer for its ability to protect sensitive account data for in-store and online transactions. Register by visiting https://attendee.gotowebinar.com/register/5182475867510822401 or clicking here. The Payments Council will present “Contactless EMV Payments: Issuer Opportunities,” on Wednesday, Nov. 9, at 1 p.m. ET/10 a.m. PT. The webinar will cover items including how contactless fits into today’s payment industry, what is different from earlier adoption attempts, and why now is the ideal time to go contactless. Register for the November 9 webinar by visiting https://attendee.gotowebinar.com/register/7678823559134243587 or clicking here. These COE recipients will be recognized in a number of ways throughout 2017. Congratulations to the companies for their continued involvement in Alliance activities. Councils held one webinar, have two new webinars open for registration, and continued work on 12 other projects. The Transportation Council is currently working on the multimodal payments convergence white paper, updating the reference architecture white paper, and developing a webinar on mobile ticketing and NFC. The U.S. Payments Forum published a new white paper, Optimizing Transaction Speed at the POS. The white paper presents on three categories of approaches to help speed transactions and discusses their potential impacts for each stakeholder group in the U.S. payments ecosystem: “Faster EMV” solutions (i.e., Quick Chip and M/Chip Fast), contactless/Near Field Communication (NFC) transactions, and other EMV checkout optimization practices. For each category, a detailed description and analysis are presented, including considerations and implications for various stakeholder groups. David Smith, Signet Technologies, Inc.
Brian Young, Integrated Security Solutions, Inc. Registration Open for 2017 Payments Summit! Register today and mark your calendars for this not-to-be-missed event, the 2017 Smart Card Alliance Payments Summit, scheduled for March 27-30 at the Renaissance Orlando at SeaWorld. 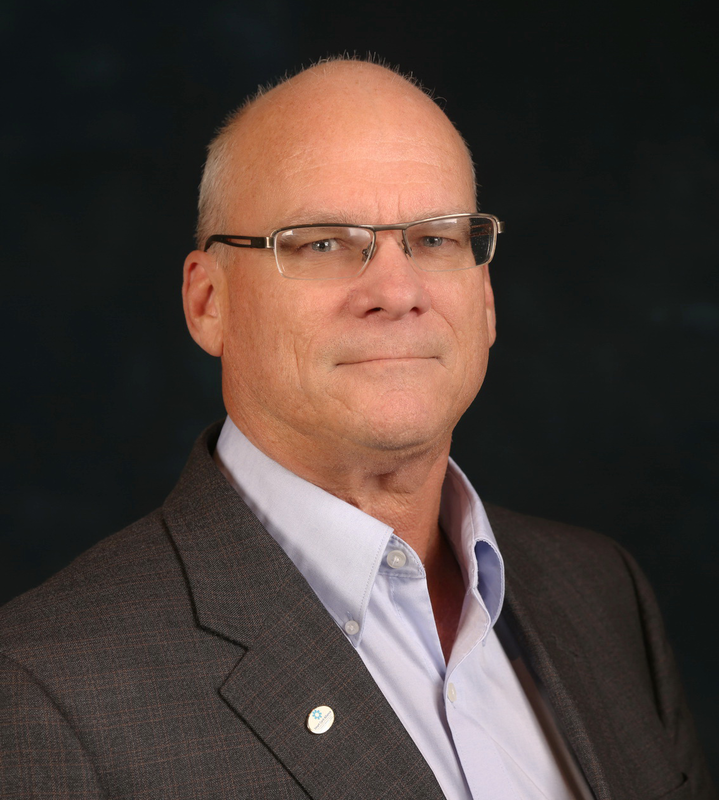 This marks the second time the Smart Card Alliance and the International Card Manufacturing Association (ICMA) are co-locating events, giving attendees a broader perspective from the core manufacturing and personalization of a card to the rapid evolution in secure payments. A full agenda on the event, “Adapting to the World of Change,” will be posted shortly. Until then, check out the site and secure your spot now. The CSCIP/G training and exam will be held November 17-18, 2016 at the National Center for Advanced Payments and Identity Security, Arlington, VA, and the CSCIP/P training and exam will be held December 7-8, 2016, at the Biltmore Hotel in Coral Gables, Florida. A CSEIP training and exam will be held November 29-December 1, 2016, at the National Center for Advanced Payments and Identity Security. Classes fill up quickly so register soon. The 2016 Annual Review, a full-color publication recapping a year’s worth of industry and Smart Card Alliance events and activities, will be published in December. If you would like your own printed copy free of charge, please send an email to [email protected].